It's been just over a year that I've been posting here at Knit 1 LA and as part of my anniversary I thought I would take a little walk down recent memory lane to visit a few of my favorite designs. This has been my most popular design from the past year and probably my most simple. What's not to love about working up a stockinette stitch rectangle with armholes in a night?! What I do like about it and what some of the compliments have been about are the proportions. I like the proportions and how either way you wear it it looks right. 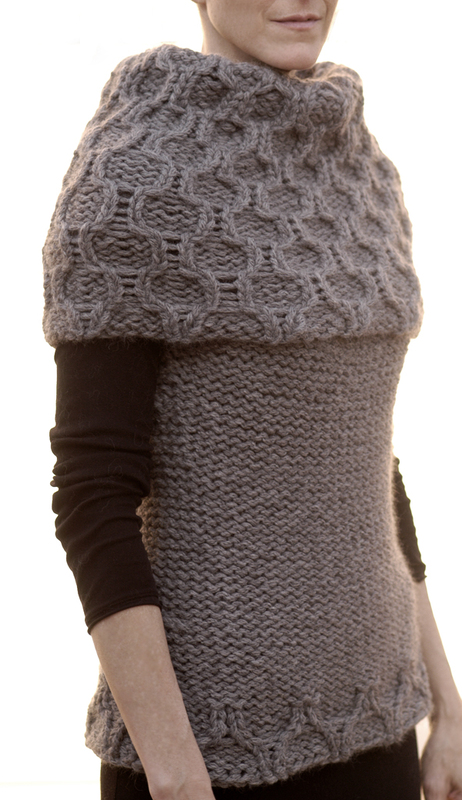 With the Brioche Honeycomb Sweater I love the drama of the kimono like sleeves, the feel of Misti Alpaca's Super Chunky wool/alpaca blend and with very little shaping it's a pretty easy knit! This one is definitely a more complicated knit but it's the techniques and finishing touches involved that make me love it. I can't say enough about a kitchener cast on or bind off for ribbing! 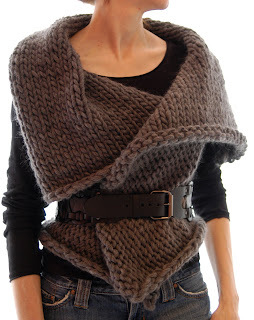 I think of all the capelets I've designed I like this one the best. I like the texture and that it doesn't scream crochet. 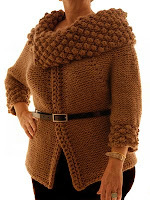 I like to crochet, I'm not a great crocheter like my sisters Katy & Mary (both amazing!) but I do have more crochet designs in mind and hope in the coming year to put them out there. I would have been happy with just the collars of these 2 sweaters! Obviously I'm a sucker for oversized collars but for me so much of these 2 designs has to do with the yarn I used for them. When wearing them they feel so luxurious they're very hard to take off. A note about the Trinity Collar Jacket a couple of people close to me didn't like the name (my husband said it sounded like a serial killer, that's not good!) 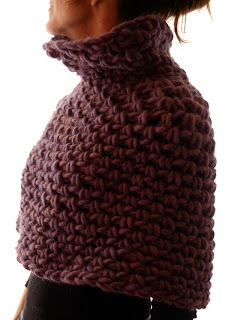 so we changed it to "the Sophisticate" and the pattern I promised is on hold because I'm reworking a couple of things (a little less collar, a little longer body). I'll end it here since I'm trying to be short and sweet. I will say that if you haven't tried knitting one sock inside the other: 2 in 1 socks you really should! If you're not a sock knitter it will completely change your mind about knitting socks and if you are a sock knitter it's a revelation! OK so if you're still with me here I'll assume you like what I have to say or at least what I design, but now I want to hear from you. Leave a comment with in the next 2 days* about which design/pattern of mine you like best and why humor me and get a little descriptive and I'll email** you a copy of said pattern. ** if there isn't a way to contact you after a comment is left, email me so I have your email. Thanks for a great year! Hope you've enjoyed as much as I have! The Misti Brioche Honeycomb Sweater and the socks are favorites. The sweater looks like an angel and who wouldn't love those socks? Your sweaters are amazing and I'm always impressed with the photography too! Can't wait to see what this next year brings!!!! What a great idea!! I just tweeted your contest and linked them to this post. Good luck with it! I've never tried the sock method you mentioned, but I've heard nothing but rave reviews. I'll have to do it sometime. Looks like socks for little feet are the perfect way to start! I had a little trouble choosing between the Smart Cardigan with its adorable basket weave sleeves and the Trellis Collar sweater and its awesome oversized collar. 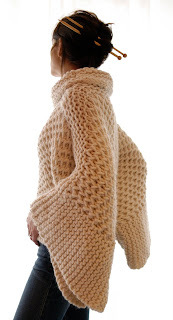 In the end, I have to go with the Trellis Collar sweater because I don't have anything like it in my wardrobe (yet!) and I love how the trim at the bottom of the body matches the collar. Love! I love them all, but especially the boat neck pullover. It is clean and classic, and the neckline brings your eye up to the collarbone which really exemplifies feminine beauty. I love your sweaters, especially the Trellis Collar, but I am curious about the 2 in 1 sock method you talk about! I get severe 2nd-sock-itis and end up never finishing a pair. I love the Magnum Reversible Vest......IT's chunky and stylish without making someone look like a polar bear. I don't need the extra bulk. ;) Congrats on your one year anniversary! I am new to blogging too....it's enhanced my world in ways that are hard to explain! What sucked me into reading the entire blog was the top design. It is stunning. Although I'd love to make my daughters some socks. What are you doing to me here, making me choose? Each of your patterns are original, creative, fun, stylish, I could go on. I think because of those sweet feet, I'd like to try the socks. 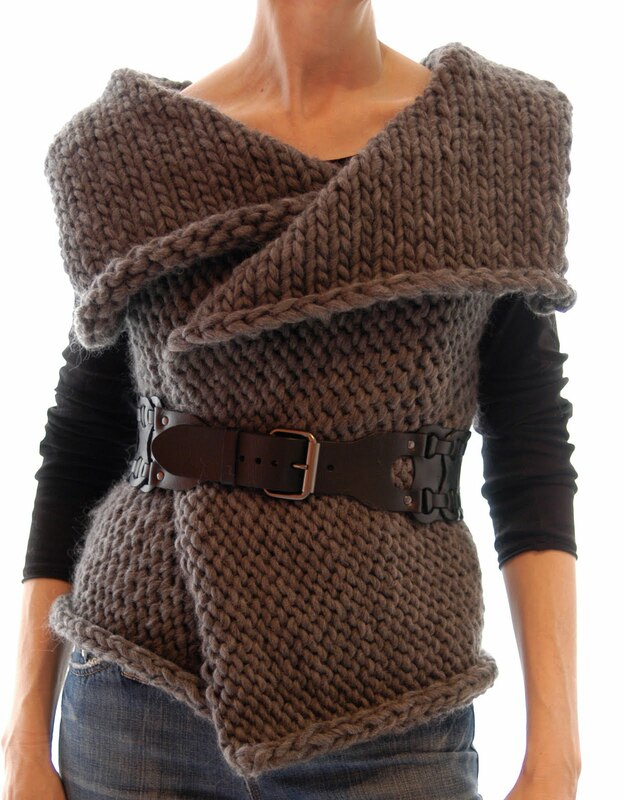 Then, since I've been dreaming about the reversible vest, I think that'll be next on my list. Thank you for all that you do to make knitting in vogue! What is the best pattern, please that's almost impossible, so many great designs to choose from thank you. Ok, really had to be strict with myself on this and the winner is the "Magnum Reversible Vest". Why the "Magnum Reversible Vest" because it's classic, fashionable, take a simple dress and it make it into a fun outfit. Now the even harder part, which yarn, which color, hmmm, maybe that should be yarns, colors? I mean why settle for one. Maybe need to make a couple of them. Love them all, but the Brioche Honeycomb Sweater is just screaming "Knit Me" right now. And I have to listen when a pattern speaks. Not sure if it's butterfly, princess or fairy wings. Just know I'd like to get it on the needles! Thanks! I'm really torn between the Smart Cardigan (lovely, interesting but not too augmented) and the Trellis Collar sweater. It makes excellent use of one bold element that doesn't fight with the more understated rest of the sweater - a statement piece, if you will. I really like your design sensibilities, and look forward to seeing more from you. I love, love the Smart Cardigan. It's so pretty and feminine with all of the different stitches working to create a beautiful a unique sweater. I also love the Bubble Sleeve jacket for its simplicity and easy construction! My favorite is the Wilhelmina baby Sweater. So classic & classy. Being top down, it's easy to make as well. I love the vest and honeycomb sweater pattern. 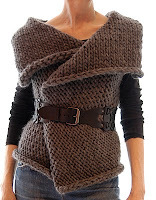 I want to knit the vest for me and the honeycomb sweater for my best friend once I am done with some baby projects. Happy Anniversary Karen!